Yestarday group of Albanians attacked and destroyed Christian memorial. Just before The World Macedonian Congress (WMC) donated a 55 meter tall cross. When the building started the same day the president of WMC was beaten by Albanians. 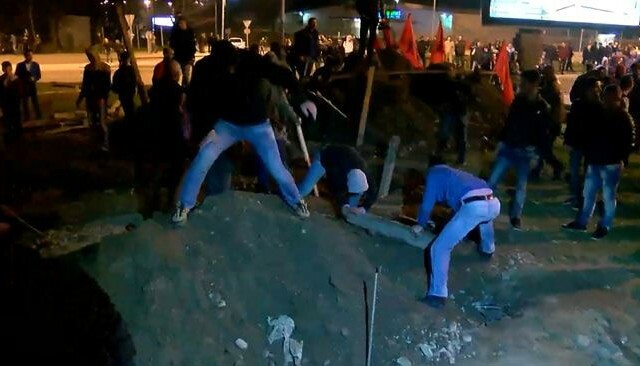 Yesterday a group of 200-300 people lead by Albanian ministers and parliament members from DUI Albanian party destroyed the so-far build parts and put camps at the place of the cross.